This sample supplementation program will help you maximize your biceps mass. What it is: A powerful pre-workout that contains multiple patented ingredients. What it contains: Pure L-citrulline, fermented BCAAs, fermented leucine, CarnoSyn® (beta-alanine), BetaPower® (betaine), Patented Creatine HCl®, tender coconut water powder, PurCaf® organic caffeine, L-tyrosine, and taurine. 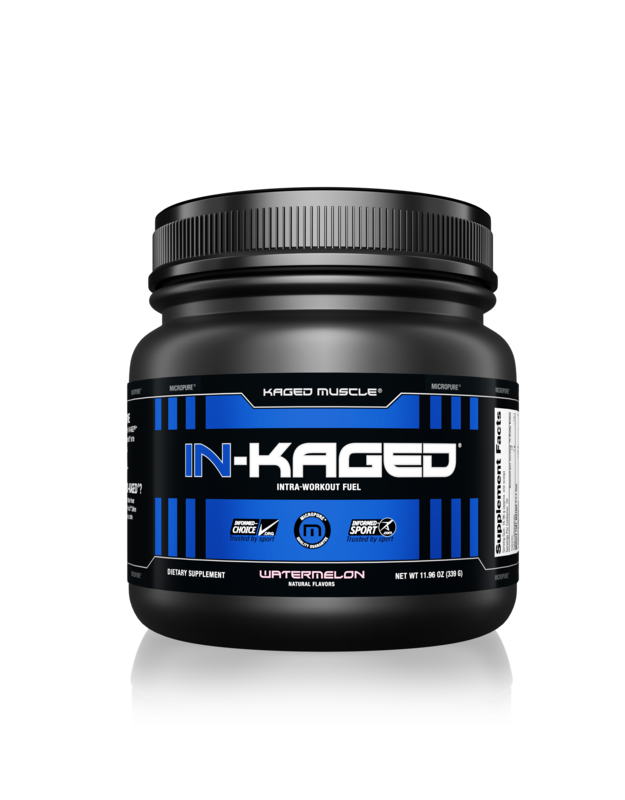 What it does: PRE-KAGED energizes you and shocks your muscles into anabolic overdrive to help you crush personal records and workout plateaus. It relies on quality, researched, premium and patented ingredients to boost nitric oxide production, and increase energy and intensity to push through challenging workouts. This allows you to train harder for longer for greater support in muscle growth, strength, and athletic performance. 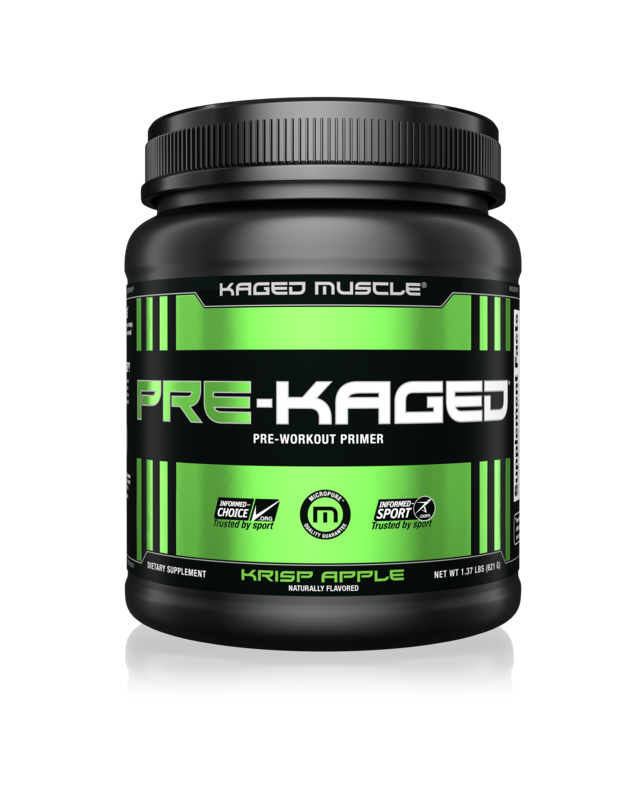 Timing and dosing: Mix one scoop of PRE-KAGED with about 16–20 ounces of water and drink it about 30–45 minutes before workouts. Shake your cup lightly before each sip and drink entirely within 25 minutes. What it is: A unique intra-workout, multi-ingredient supplement. What it contains: Fermented BCAAs, pure L-citrulline, CarnoSyn® (beta-alanine), tender coconut water powder, taurine, tyrosine, and PurCaf® organic caffeine. Timing and dosing: Mix one scoop in 16–20 ounces of water and consume during exercise on training days, or throughout the day on non-training days. What it contains: MICROPURE® whey protein isolate (25 g) including essential amino acids (12.3 g), conditionally essential amino acids (12 g), and non-essential amino acids; ProHydrolase®; fermented Glutamine; Creatine HCl; betaine as BetaPower®. 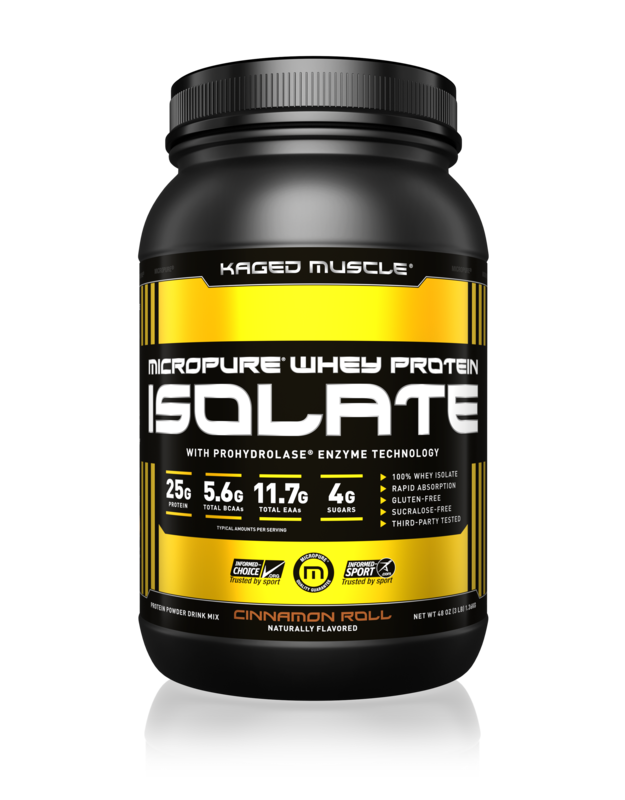 What it does: The whey protein isolate in RE-KAGED is the gold standard for muscle growth support. In addition to the quality amino acids this fast-digesting protein contains, it has ProHydrolase, which breaks down protein molecules into small units (including di- and tri-peptides), which are then readily shuttled into the body where they can get to work immediately helping to build and repair muscle tissue. BetaPower® supports the synthesis of protein for improved muscle strength and power. 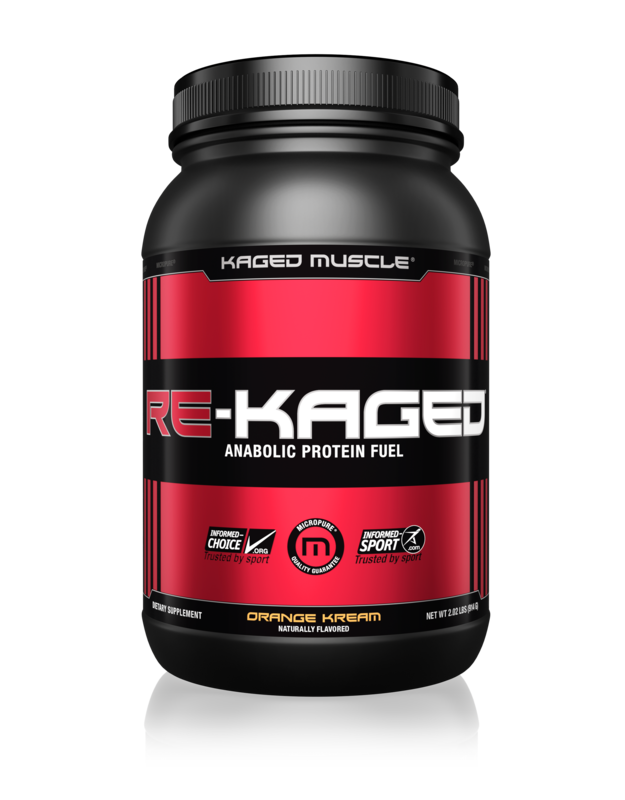 Together with Creatine HCl and fermented Glutamine, RE-KAGED provides comprehensive recovery support. Timing and dosing: Mix one scoop of RE-KAGED in 8–12 ounces of water. Take one serving upon rising and one serving immediately post workout. For maximum results consume two servings per day on training days. For non-training days consume one serving upon rising and the other mid-day between meals. What it contains: Micropure® whey protein isolate and ProHydrolase®. Timing and dosing: Mix one scoop of Micropure Whey Protein Isolate in 5–8 ounces of water. Consume before or after workouts, or anytime you desire a high-quality, high-protein drink. What it contains: 5 electrolytes, SPECTRA™—a unique combination of extracts from fruits, vegetables, and herbs; taurine, and coconut water powder. 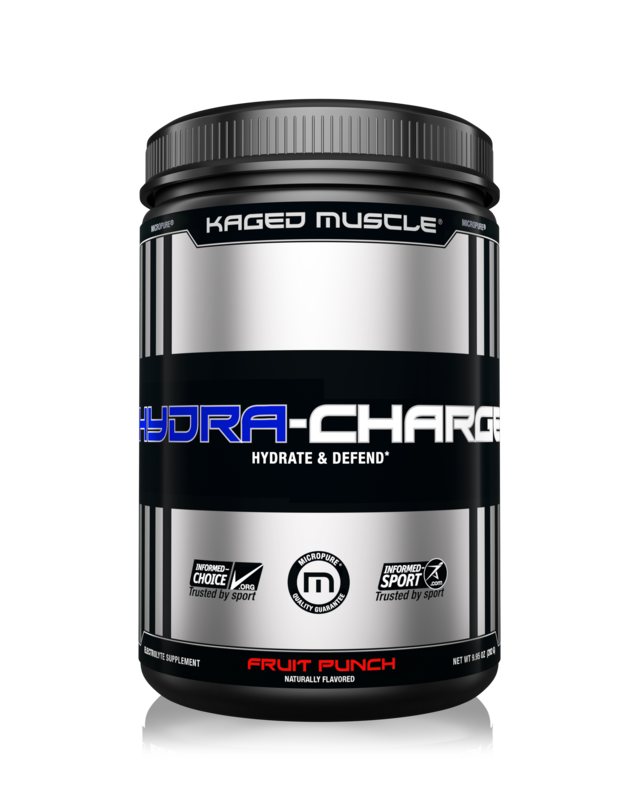 Timing and dosing: As an electrolyte supplement, mix 1 scoop in 10–14 ounces of water along with your favorite Kaged Muscle supplements. 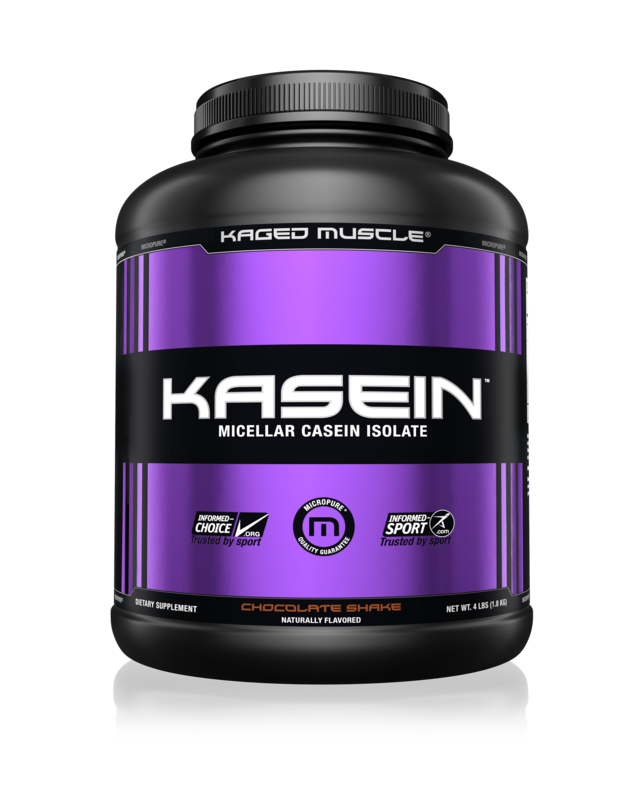 What it is: Kasein is an ultra-premium, cold-processed micellar casein isolate, which digests slowly to supply amino acids to support muscle building. What it contains: Casein protein and coconut oil powder. What it does: Casein is the slow-digesting fraction of milk protein. When you consume casein, it digests over several hours providing a steady flow of amino acids that protect your muscles to protect against catabolism (breakdown). It’s a great supplement to take before bedtime or at other times when you won’t have an opportunity to consume protein for several hours. Kaged Muscle Kasein utilizes a unique filtration method that helps preserve micellar casein’s structure as it is found in milk. Timing and dosing: Mix one heaping scoop of Kasein in 8–12 ounces of cold water. Take one serving before bed or during prolonged periods when you aren’t able to consume other forms of protein. For best results consume two servings of Kasein a day. What it is: A scientifically advanced creatine formula that delivers ultra-soluble creatine monohydrate. What it contains: Creatine monohydrate, patent-pending protein-based microencapsulation technology. What it does: Creatine is a naturally occurring amino acid compound that fuels muscle strength and power. CreaClear utilizes a propriety crosslinked protein matrix to protect the creatine against ingestion, proteolysis, and lipolysis in the stomach and intestine. 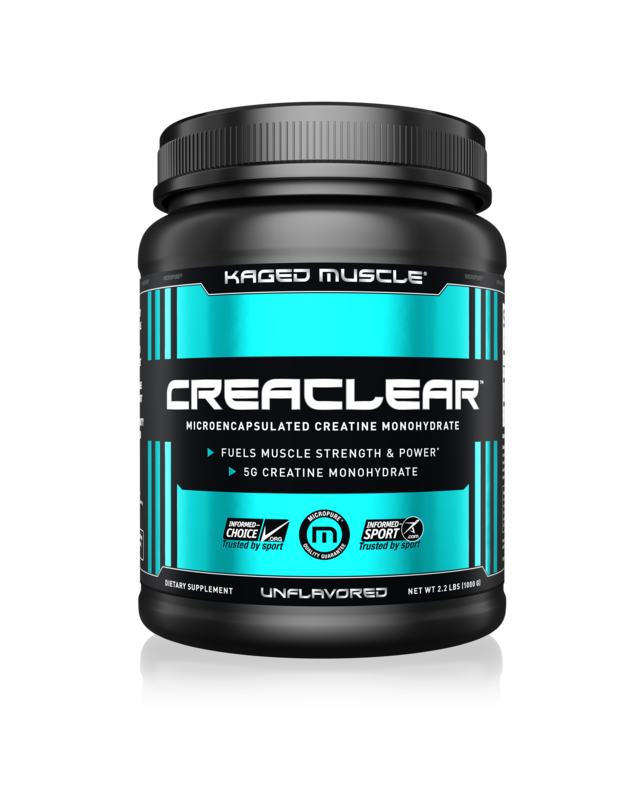 This enhances the creatine’s stability and makes for an ultra-soluble creatine that mixes clear, unlike regular creatine monohydrate. Timing and dosing: For the first 4–5 days (loading phase) mix one scoop of CreaClear with 8–10 ounces of water or fruit juice and shake vigorously for 20–30 seconds. Consume morning, mid-day, evening, and before bed. After day 5 (maintenance phase) mix one scoop with 8–10 ounces of water or fruit juice and take two times daily. Get a sample daily supplementation schedule on the next page.